Star forward Steven Stamkos has decided to sign a new eight-year contract with the Tampa Bay Lightning, taking the NHL's most coveted potential free agent off the market two days before the signing period opens. Star forward Steven Stamkos has decided to sign a new eight-year deal with the Tampa Bay Lightning, taking the NHL's most coveted potential free agent off the market two days before the signing period opens. Stamkos's official Twitter account confirmed reports of the news. 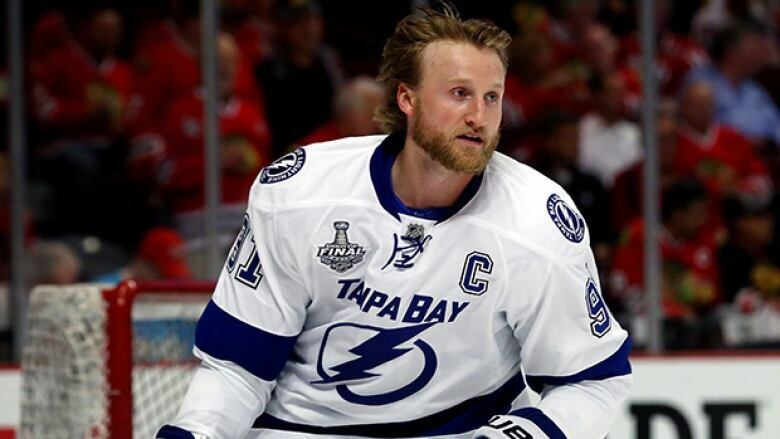 TSN's Bob McKenzie reported that the contract will pay Stamkos $68 million US. That's a salary-cap hit of $8.5 million annually. Several teams had been courting Stamkos ahead of the NHL's free-agent signing period, which opens July 1 at noon ET. Toronto was one of the potential destinations for the Markham, Ont., native, and Buffalo and Detroit were also considered among the front-runners. "We are very appreciative of the effort and commitment that Steven and his representatives have exhibited in getting a deal done," Yzerman said via a team release. "We are excited to have him as a cornerstone part of the team for the next eight years as we continue in the franchise's ultimate pursuit of winning another Stanley Cup." "I am excited to move forward with the Lightning today for the next eight years," Stamkos said in the same release. "It's not often that a player gets the chance to spend his career in one organization and I am hopeful that this agreement sets me on that path with the Tampa Bay Lightning. Most importantly, I look forward to working with my teammates, coaches and our management in our goal of winning a Stanley Cup." Stamkos, 26, is a two-time NHL goal-scoring champion who has scored 312 times in 569 regular-season games since Tampa Bay drafted him first overall in 2008. Only Alex Ovechkin has scored more regular-season goals since Stamkos entered the league. This past season, Stamkos had 36 goals and 64 points in 77 games. Stamkos helped Tampa Bay reach the Stanley Cup Final in 2015. This year, a blood clot issue kept him out of the Lightning's entire playoff run except for their finale, a Game 7 loss to Pittsburgh in the Eastern Conference final.